I had a shoot scheduled with Sara and Tyler but we ended up rescheduling because we both happened to go adopt puppies on the same day! We met up a few days later and I had so much fun with them and their puppy Honey! 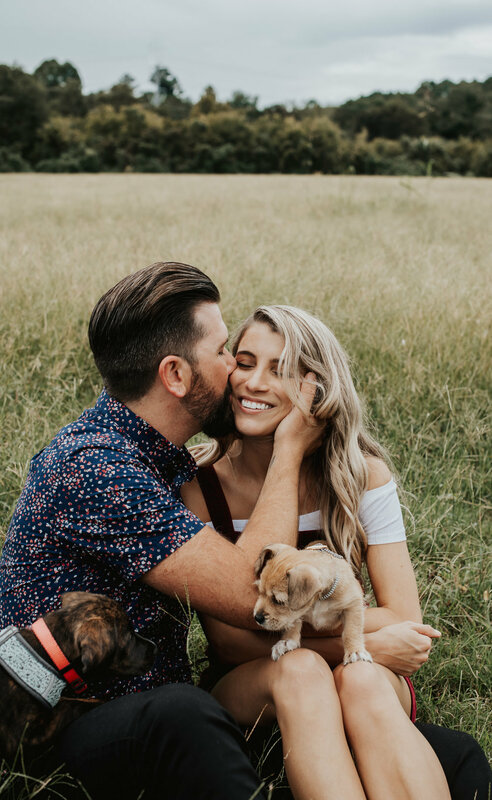 I brought my 12 week old puppy Aurora and she got to play with Honey while we got some fun shots of Sara and Tyler! However, Aurora decided to photobomb some of their little family portraits. I love making new friends that share a love for animals <3 Here’s to future puppy play dates!